This really fun Target deal is back! 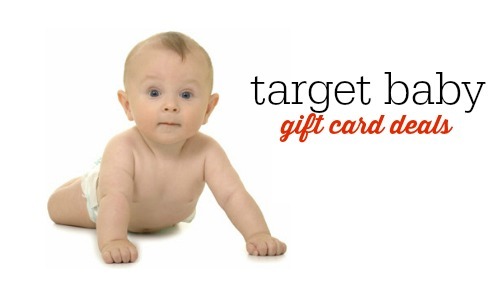 You can get a $20 Target Gift Card with a $100 baby purchase or a $40 Target Gift Card with a $200 baby purchase. If you are looking for a deal on a crib, car seat, or stroller, this is a great chance to get a deal. This will be valid online and in-store. If you head in-store be sure to look for clearance. I saw a few stroller car seat combinations marked down. There are a lot more giftcard deals in the coming ad. All of these deals run from 7/5-7/11.